Whether you’re a fashion designer, photographer, manager or architect There’s a Book for That has you covered! This stationery company specializes in creating books that cater to all occupations, aiding in productivity for any project. The Paper Review wrote about There’s a Book for That during our Holiday Gift Giving series back in December and we were lucky enough to snag an interview with Oliver Ottner, “The guy with the idea, layouts and concept”. To learn more about this company and their story, check out the interview below! O. Ottner: ” WHY ANOTHER NOTEBOOK? While there is no shortage of notebooks in every color, size and material imaginable, most of them ignore the content pages, the stationery. We came up with the idea to design and predefine the “grid” – fitting specific needs and perfectly thought through. We designed the structure so you can focus on what really matters – the content, your content. Now we‘re offering 28 notebooks to help structure and organize work, life and passion. O. Ottner: ” We were not happy with most of the products the market offered. We started with custom self printed sheets – to get our mockups done and present our agency/and design- pitches. Around two years ago we had the idea to print a set of dedicated books, still for ourselves, to get a more professional feeling when presenting to clients. With a beautiful selection of colors to choose from, your book will speak to your personality making it that much more fun to use. O. Ottner: ” Writing and sketching, enables you to separate concept from details, helps you untangle the messiness and concentrate on the big picture. Each book that is available has been designed alongside professionals in that particular field to ensure everything you need is there to get you through every project. O. Ottner: ” A lot. Working for clients and working on for your own product is so different, oh boy. We appreciate There’s a Book for That participating in this interview. The Paper Review aims to bring you insight from companies in the industry and give voice to their products. We hope you enjoyed this interview segment and were able to take from it for your own inspiration. A special thanks to Oliver of There’s a Book for That for speaking to us. For more information on There’s a Book for That, please visit the above links. You will be able to purchase items and stay up on what the company is doing with their latest products! 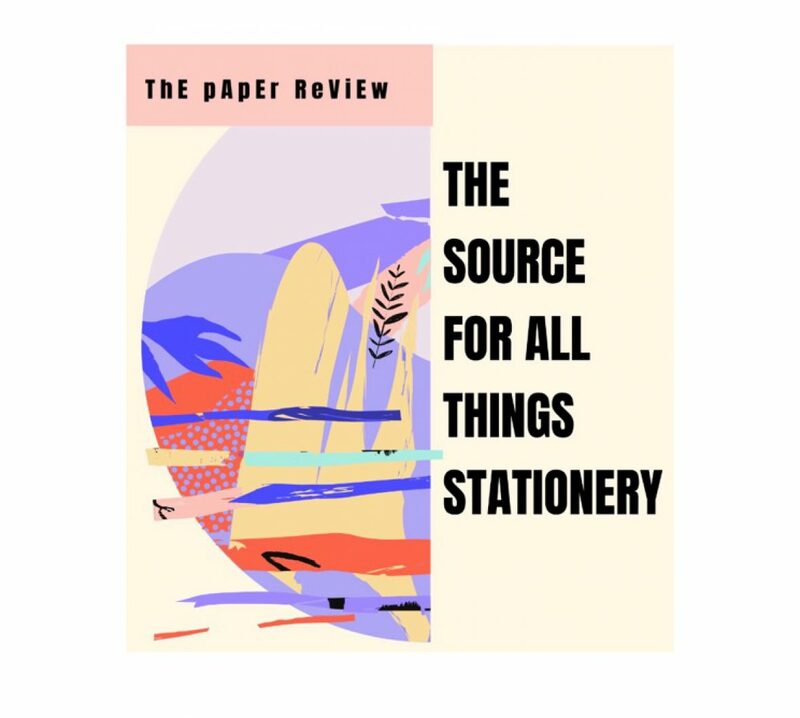 Be sure to subscribe to The Paper Review to get alerts on new interviews, reviews and other exciting stationery content as soon as we post it to our website! This is beautiful, Jay! I’m so proud of you!